"It's not about convincing people, it's about educating people,"
Ada, Mich., March 16, 2017 — Work culture has transformed over the past 60 years, from an era in which people worked one to two jobs over the course of a lifetime to as many as 10, or even juggling several at once. There is no one-size-fits-all way to make a living, and never has been. The result is a need and corresponding demand among today’s workforce for diverse options, offerings on which Amway has built a thriving business and has helped thousands upon thousands of individuals around the world to supplement their income and realize aspirations of owning their own businesses. We’ve been around now for nearly 60 years – a major milestone of which Amway and its millions of business owners around the world are rightly proud. We want to share that pride, and highlight why Amway opportunities resonate so strongly among so many people. As our legacy and large family of Amway Independent Business Owners (IBOs) can attest, most have a positive experience and are eager to share their experiences with others. But for those on the outside looking in, a lack of understanding can sometimes create confusion. As a result, Amway’s business model has at times been called into question, incorrectly dubbed a pyramid scheme or scam. While we won’t pretend to be perfect, Amway has built a business on sound ethical principles that offers people from all walks of life a chance to fulfill their own potential. Whether you’re building a business or simply love using our products, we are passionate about making sure everyone connected with Amway has a positive experience. This is the factual story of who we are, what we do and how our IBOs make money. In 1959, Amway launched a direct selling business fueled by relationships. Our vision was, and continues to be, simple: We work every day to help people live better lives. The concept of partnership is a cornerstone of the Amway business, established by and between our two founders. It now encompasses the founding families, employees and business owners, and our actions are guided by what is in the long-term best interest of our IBOs. We live this vision by helping people everywhere discover their potential and achieve their goals by offering great brands and opportunities. Amway is guided by six enduring values: partnership, integrity, personal worth, achievement, personal responsibility and free enterprise. Sharing generously with the local communities in which we and our business owners operate is an important part of this. Amway business owners span the globe, from the Americas to Europe, India and Africa to Greater China and the Asia-Pacific region. Our low cost, low risk opportunity sets them up to reach their goals, quickly and efficiently addressing needs that may vary according to geography and culture. Details large and small, from navigating local selling regulations to product sizes and brand preferences, are coordinated in conjunction with local governments, business owners and consumers. Sustainability is a core principle as well, and has been for decades. 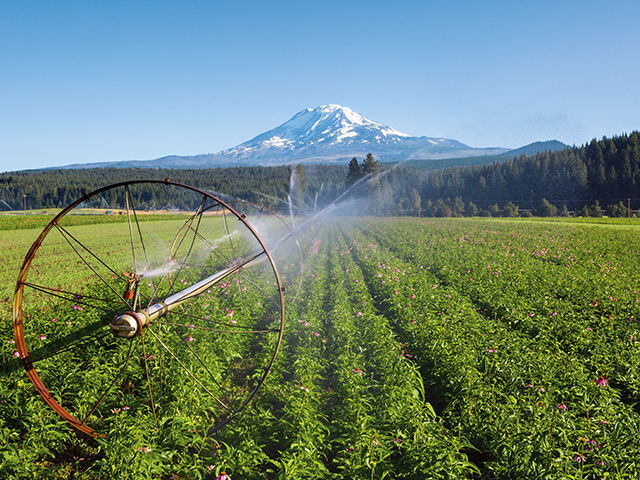 We control much of the process, from where ingredients are sourced (some come from nearly 6,000 acres of Amway-owned certified organic farmlands), to where they are manufactured. In addition, 50 percent of the energy powering Amway's world headquarters in Ada, Michigan is wind-generated. These are best practices you would demand from any company you do business with, and they have been a part of our DNA from day one. The original product offered in this model, Liquid Organic Cleaner (L.O.C.™), was one of the first concentrated, biodegradable and environmentally sensitive cleaning products on the market. Since then, with a similarly pioneering and purposeful spirit, Amway has expanded from home products to become a global leader in health and beauty. 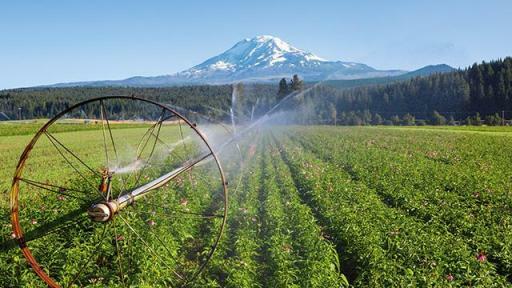 For decades, we have focused on environmentally sensitive and biodegradable products. 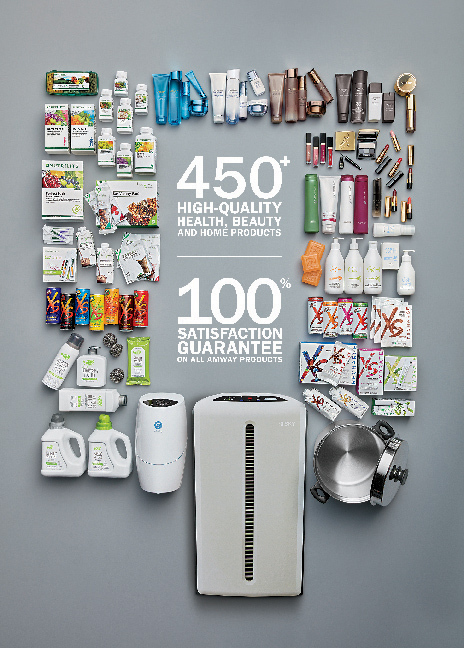 Our leading brands include Nutrilite™ vitamin and mineral dietary supplements, Artistry™ skin care and cosmetics; our home line, which includes the eSpring™ water purifying system; Legacy of Clean™ environmentally-conscious home cleaning products, and Atmosphere™ home air treatment systems, among others. Amway business owners globally build their businesses on these brands. As global leaders in phytonutrient research, skincare, water and air purification advancement, nearly 1,000 Amway scientists, engineers and technicians collaborate to create new products that support IBOs and the needs of their customers. Amway’s research and development teams also work with scientific advisory boards comprised of respected scientists and practicing clinicians. 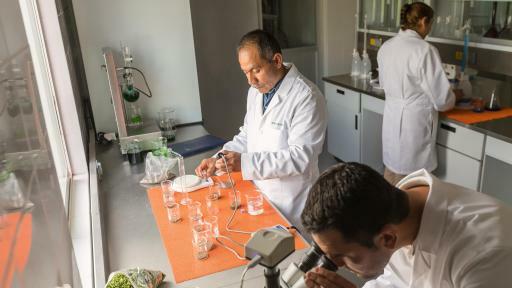 Their collective mission is to guide research that supports Amway product development. 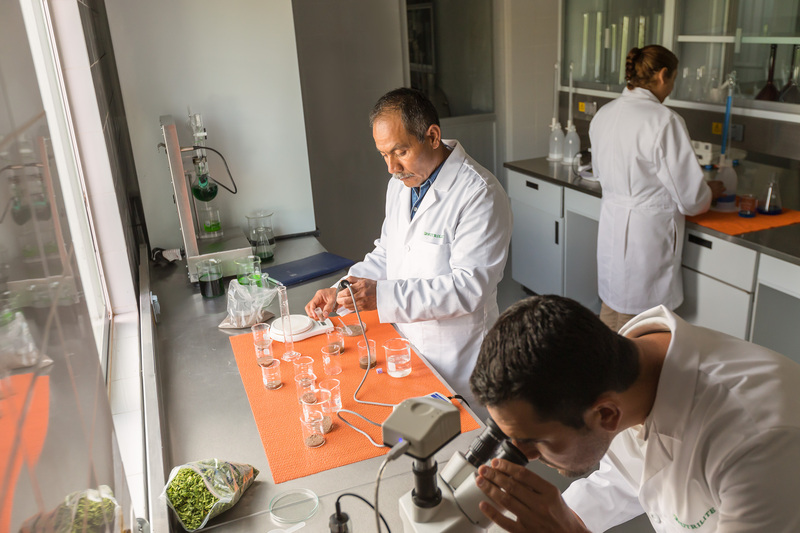 Our global research projects influence not only Amway’s product development, but also help the larger R&D community. Amway’s global sales in each of the past few years have exceeded $8.8 billion. Since 1959, Amway has paid out nearly $60 billion in bonuses and incentives to its distributors worldwide1 – more than any other direct sales company in history2. Direct selling is a low-cost, low-risk option for individuals to supplement their income. Amway Independent Business Owners use and sell high-quality nutrition, beauty and home products to consumers. The more product sales they generate, the more income they can earn. Many also choose to build businesses by sharing the Amway opportunity with others, and teaching them how to sell. This can mean greater reach for the product and ultimately higher income because of team sales volume. In short, IBOs make money from the sale of our products – sales that they and the team they support generate. To get started, IBOs in the United States pay a registration fee of $62. Under our 100 percent money-back guarantee in North America, we make it very easy to leave with a generous refund policy (within the first 90 days in business) if a person wants to exit the Amway business for any reason. Business owners receive education materials and free online training available 24/7 on mobile devices in multiple languages. Amway provides education on its products and how to sell them; how to earn income and grow a business; and how to be a leader. In addition, Amway offers business tools, including a personalized, mobile-friendly website, apps and customer service support (from real people, in six languages). Compared to the cost of starting almost any other kind of business, it is minimal and low-risk. IBOs make money when they sell our products at a markup, as with any retail business, to make a retail margin. They earn bonuses from the company, based on their personal product sales volume. As their business grows, they can earn additional bonuses from the company based on the product sales volume of their team. Amway IBOs are awarded with growth incentives for key achievements in growing and helping their team succeed. Millions of people have chosen to start their own Amway™ businesses, selling our products as a way to earn extra money while defining their own success. For some, it could mean paying for tutoring or music lessons for their children, or helping to cover monthly bills, while for others it could mean more. The work of a business owner is all about personal connections. Consumers have a strong desire to support small, independently owned businesses, and know direct sellers can provide a high level of knowledgeable, personal service. Through our network, consumers can access exclusive, high-quality products, which our IBOs can sell on their own terms. As these direct selling teams grow and sell more products, IBOs make more money. Amway is not a pyramid scheme. It is a direct selling organization, a type of enterprise that provides Amway's 3 million business owners around the world with the opportunity to supplement their income with proceeds for their product sales, mentor others who share the same passion for our products and business, balance work with family. More than 20 million people were involved in direct selling in the U.S. in 2015, with estimated retail sales reaching $36.12 billion – a nearly 5 percent increase over 20143. Nationwide, one in six households is involved in direct selling. The field has particularly enthusiastic involvement from women and minority groups: More than 77 percent of direct sellers in 2015 were women, and nearly 20 percent Latino4. Direct sellers describe work-life balance, networking opportunities and income potential as their chief motivations for staying in the industry. Pyramid schemes, by contrast, have nothing to do with real commercial activity. They are a form of financial fraud that is based on recruiting new people to make investments that are used to pay the people who joined earlier. Amway doesn’t operate this way. Our Independent Business Owners don’t make any money by bringing more people in – not a single cent. Instead, our IBOs make money from the sale of our products, not from recruiting. On each product sold, we set aside a portion of the product cost as a "bonus.” This is shared by IBOs who work together in sales groups, according to their contracts with Amway. Without product sales, nobody makes money. And since IBOs are not required to purchase products, our products are backed by a 100 percent satisfaction guarantee, and the $62 registration fee is fully refundable upon resignation in the first 90 days, the risk to IBOs, and their customers, is low. The people who join Amway do so for many different reasons, from working part time to make a little extra money to help support their families, or to achieve a specific financial goal. We thought it important to share the stories of individuals from different circumstances and motivations who found Amway and made it their own. Many of their stories may ring familiar and resonate with you. While the specifics of business owner stories may vary, hard work, determination and a devotion to giving back to the community are common themes. 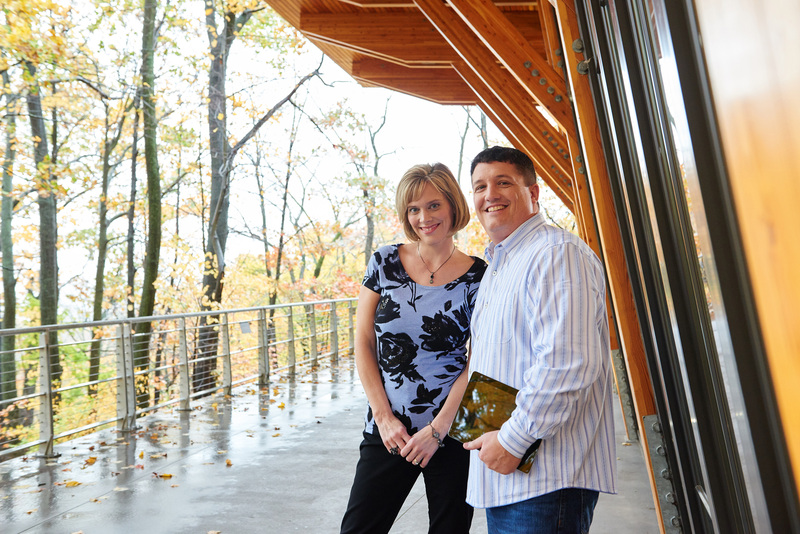 When engineer Jeff Miller and his wife Angela first heard about the Amway opportunity, they were skeptical. They both came from academic backgrounds based on critical thinking, and so they carefully evaluated every piece of the Amway opportunity. Jeff's cousin made the first introduction, convincing him to sit down with a fellow IBO during a Colorado seminar. Over the course of the exchange, he felt challenged to open his mind and think differently. "As an engineer, I was trained to be a skeptic and pick things apart," Jeff said. "I dug in and realized I didn't know anything about Amway, and the seeds were planted." The duo started slowly, first building their business at the smallest level. 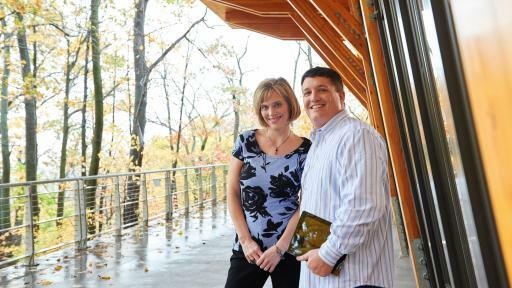 As their involvement and understanding grew, they began to embrace the business on a deeper level: helping other people. "When we stopped simply going through the motions and began caring for people, lots of things started to change and grow." Now the husband and wife team continues to work together, taking the time to slow down and help others. The business enables them to live their lives with flexibility, spending more time with family and one another. The strengthening of their bond depends on a connection with others; building trust and helping others find a way to meet whatever goals they may have. "It's not about convincing people, it's about educating people," Jeff said. "If you educate people, they can convince themselves." For Amway Business Owner Vicky Gomez, living by example isn’t just a mantra – it’s a way of life. A determination to earn the rewards of hard work, mentorship and giving back to her community has taken her far in both the Amway business and in her personal life. When a friend first presented the Amway business to Gomez, she admittedly wasn’t excited. “I was newly married, working three jobs and going to school,” she said. 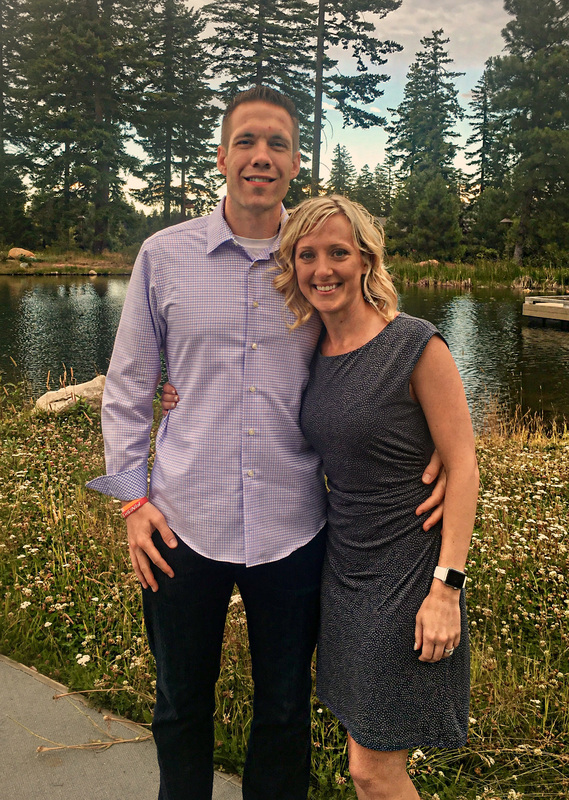 “I don’t do anything halfway, and so didn’t believe I had the time to devote to something new.” But when her husband, Adam, weighed the start-up cost against the potential to make additional money each month, she decided to come on board. In the beginning, the couple “dabbled” rather than focusing on the business or aiming very high, but three years in decided to recommit. They dedicated themselves to learning everything they could. As their business grew, they were able to help Vicky’s mom while paying down debt. Another reward of the Gomez family’s success was flexibility. Vicky credits their involvement with Amway for enabling the couple to be present in their kids’ lives, while instilling the importance of working hard and giving back. Their example has influenced the next generation, inspiring their eldest son Adam Jr. to found a nonprofit organization called The Road to Help, which provides blankets to the homeless in the Los Angeles area. Intergenerational ties shaped Amway IBO Steve Victor’s story as well. His ties with the business date all the way back to the founding families. It was an inspirational example, but not a legacy that was casually handed over. If Steve wanted to follow in the Amway tradition, it was going to be up to him, and he was going to have to work hard and gain the respect of his peers. He went to college to study business, with the intention of going to law school. A December graduate, he filled the in-between months working at the family business. As he spent more time with the Amway family, he came to realize that it was what he was meant to do. Newly married, he continued working with the family business to pay the bills, while building his own Amway™ business in the evenings and on weekends. 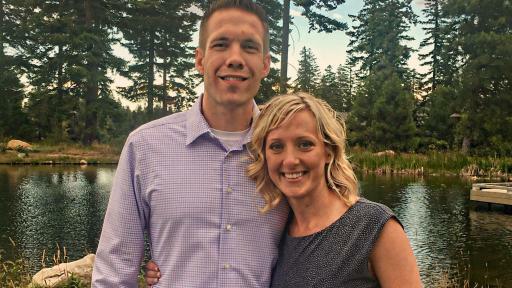 The couple started going to Amway meetings together, and within the first year of their marriage, his wife joined as well. Amway has been in business for almost 60 years, and is now home to more than 3 million IBOs worldwide. We’ve paid more bonuses than any other direct seller and are accredited by the Better Business Bureau. We remain committed to our family-owned company’s core founding belief that we exist to help people reach their potential, and will continue to direct all of our energy to empowering people and communities for decades to come. Still have more questions? 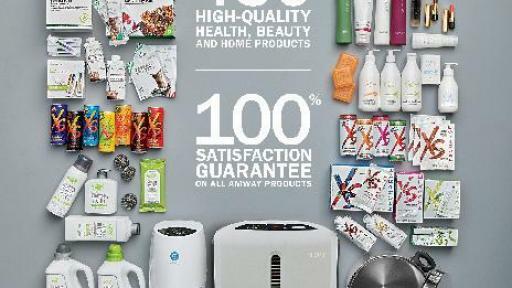 We invite you to visit Amway Answers to learn more about our business and products.